CCA Global Partners is dedicated to helping local businesses and entrepreneurs succeed in marketplaces that face widespread consolidation. One of these marketplaces is flooring. 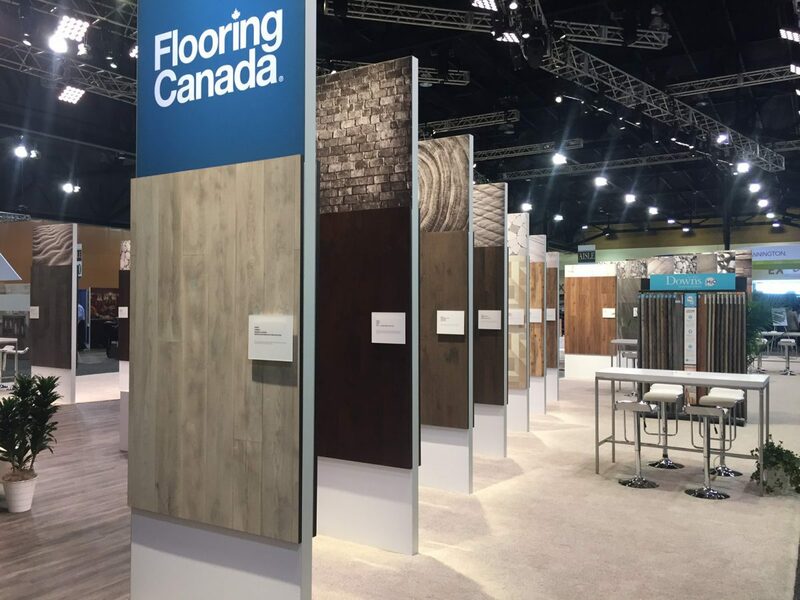 Here CCA has used its cooperative business model to create the country’s two largest independent flooring retailer groups – Carpet One Floor and Home, and Flooring America. Combined these two co-ops help make over 1,600 retail locations stronger and more competitive. 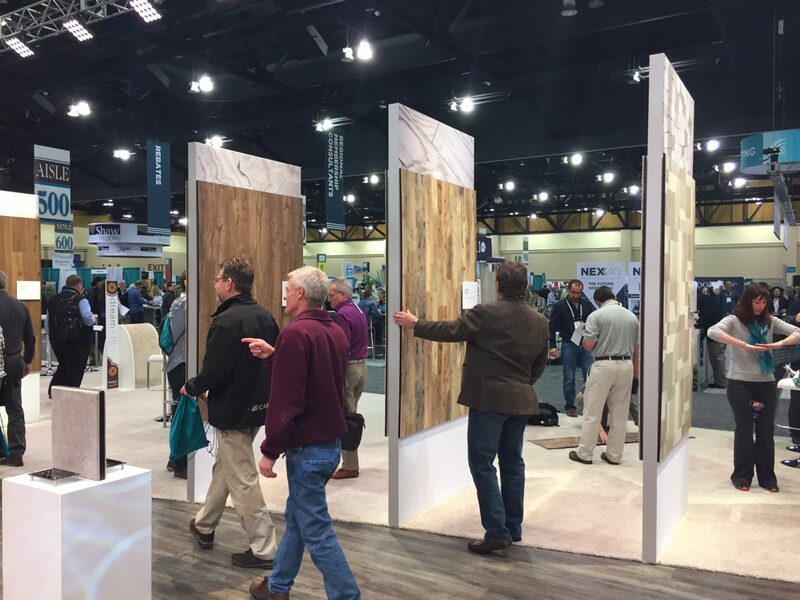 Part of CCA’s support includes two massive “conventions” each year for its flooring retailer members – one in the winter, the other in summer. These multi-day events offer educational seminars on all aspects of running a business. 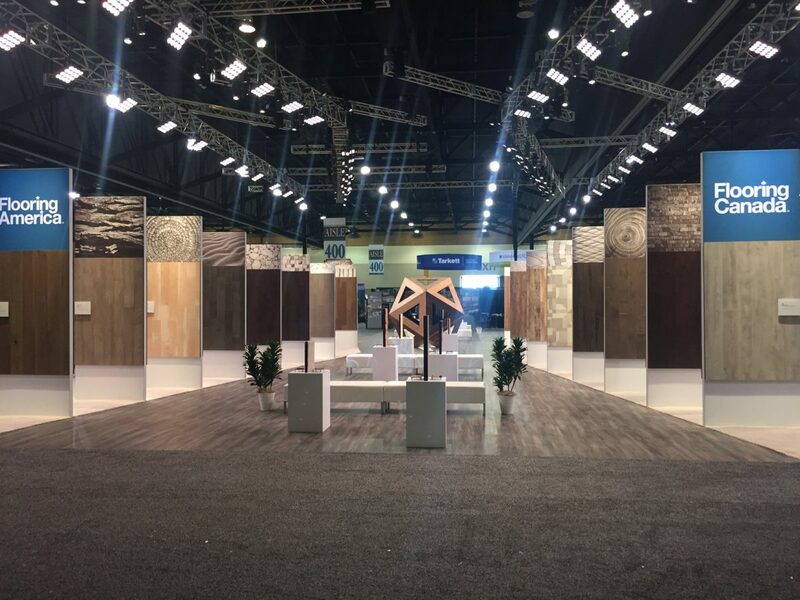 They also include an entire trade show floor dedicated to showing dealers what’s new in the way of marketing support, merchandising programs, and of course, new and unique products supplied by the dozens of flooring manufacturers who support both cooperatives. 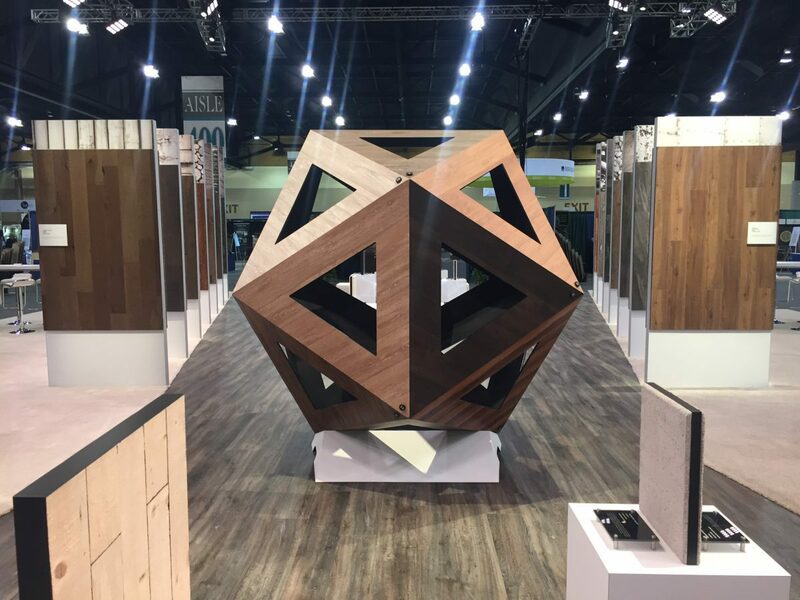 Typically, CCA showcases new flooring products, patterns and designs by placing them in a realistic in-store situation – meaning in flooring displays (many of which we design). But in the most recent Winter Convention, CCA, in their words, wanted to “shake things up a bit” with a new approach. Their goal was to call more attention to the products and provide more information on key product selling features. So the strategy was to present them in a much larger format, free of surrounding structure. Or as CCA put it, “to spotlight the real hero of the show, the product, by isolating the product from the display.” Of course, they also wanted to achieve these goals as cost-effectively as possible That’s the challenge CCA gave to Art Guild’s CCA events team only weeks before the convention. Our solution is visible in the slide show above. 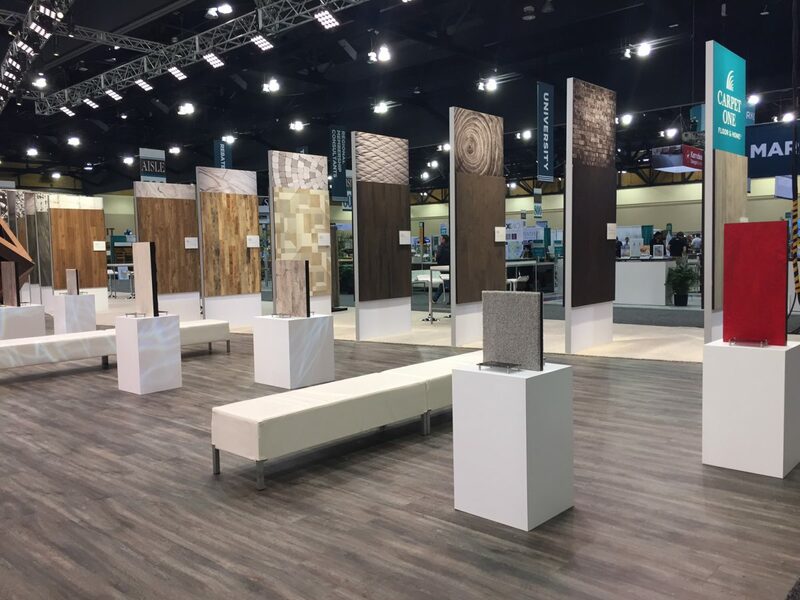 It employs a museum-style presentation of flooring samples in a modern, even abstract presentation that allows retailers to walk into and be surrounded by monolithic products on all sides. At the exhibit’s center is a geometric shape covered completely in flooring. The shape is an ‘icosahedron’ – the same geometric shape popularized by Buckminster Fuller’s geodesic dome designs.